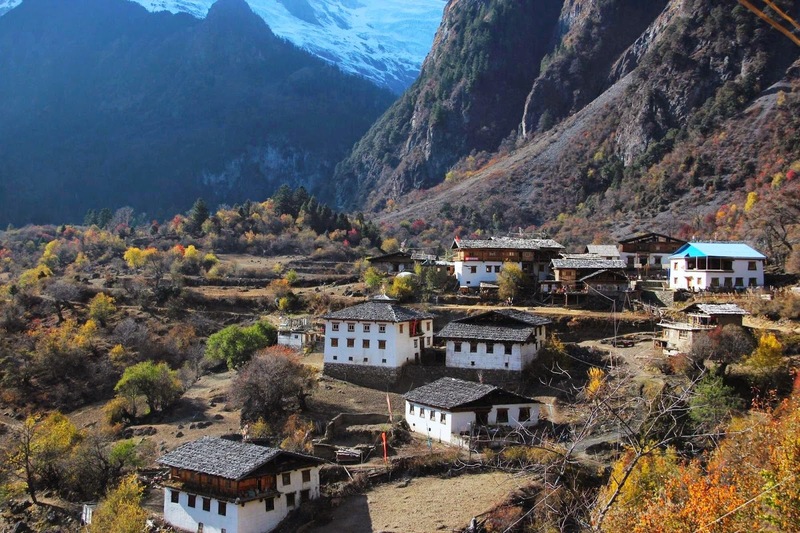 Yubeng Village is an isolated Tibetan village situated in the Valley of Meili Snow Mountain, near the famous city of Shangri-la, in the northwestern corner of Yunnan Province, People's Republic of China. The entire village is surrounded by mountains from all side. 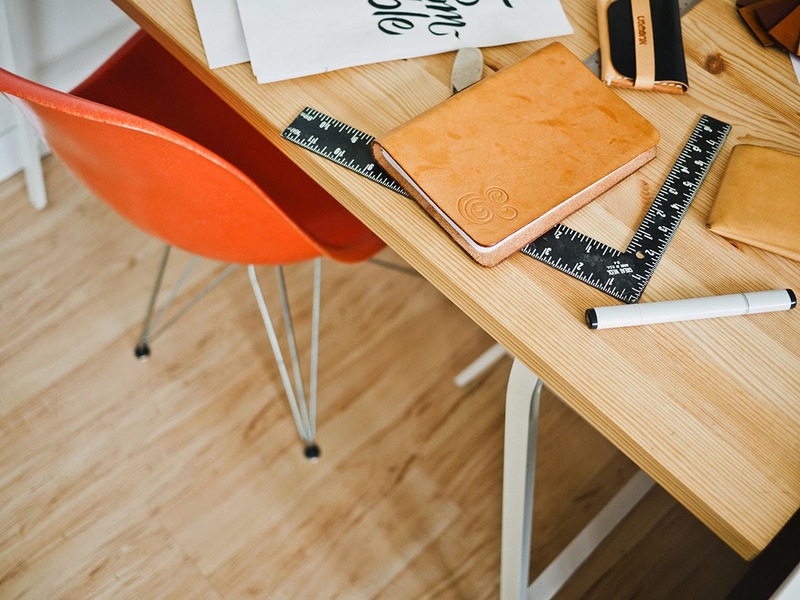 The road net work system is not engineered properly and good for motor ways. People generally trek to the village by foot or horse ride or using a mule. The charming village is having the richest scenery and is one of the virgin lands in China. There are only 20 houses you can see in the village. This is a good place for trekking. The village is divided in to Upper Yubeng and Lower Yubeng. 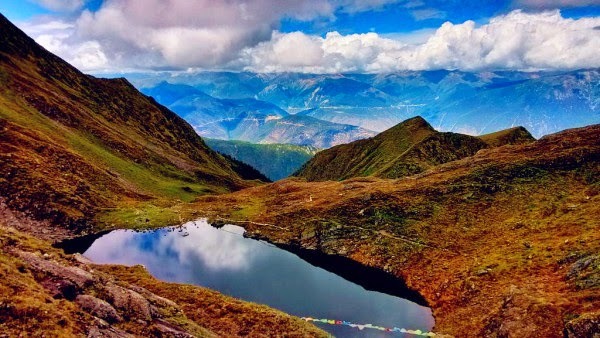 From Upper Yubeng it is easy to trek to the Base Camp and Ice Lake. 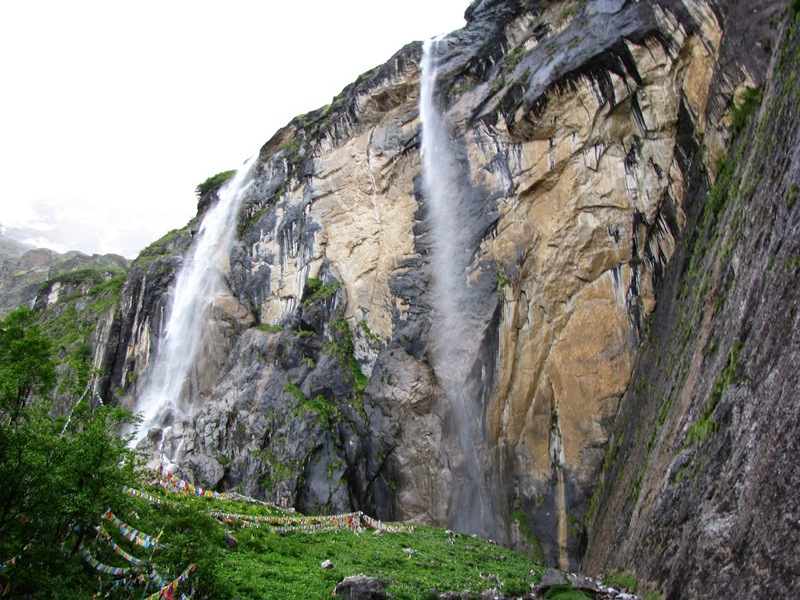 From the Lower Yubeng, it is easy to trek to the Sacred Waterfall and beyond to the point you can see the Holy Lake. 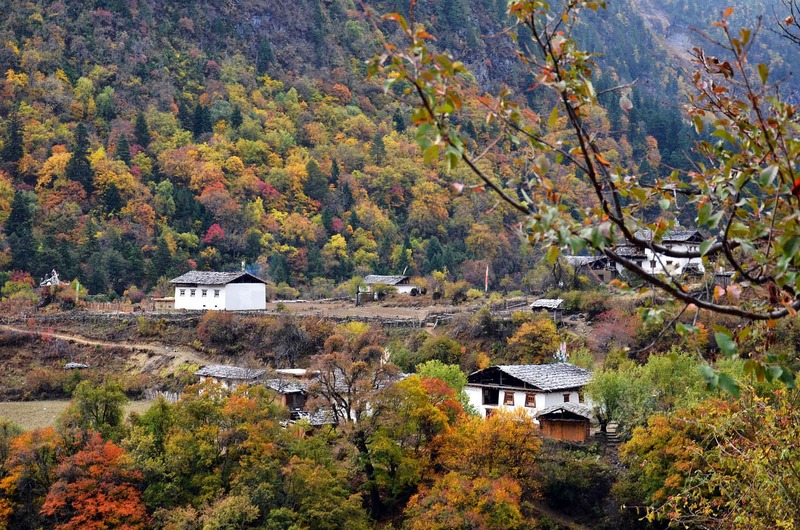 From the Upper Yubeng sector of the village, tourist can trek to the former base camp of Sino-Japanese mountain climbing expedition venture. The base camp is notorious for the tragic fate of the Sino-Japanese expedition team. As per the Tibetan and local villagers belief, if anybody try to scale Meili Snow Mountain, that expedition team will face the wrath of God. So far no expedition could successfully explore the Meili Snow Mountain. The Lower sector or Yubeng is bit more accessible and less macabre in nature. Tourist can have the picturesque view of Yubeng Waterfall and magnificent location of the lower village. Ancient stamp and cultural relics of the past also can be seen in the Lower village as mark to show that Yubeng has a long history dating back to thousands of years. It is also interesting to know that there are interesting mythical stories about the formation of Yubeng Village. 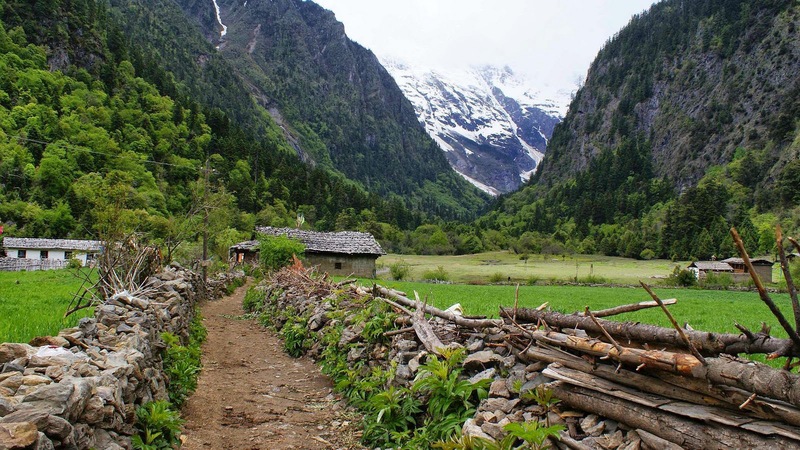 You will have the rare chance to move through the "snow mountain" areas while you trek to the village. Base Camp and Ice Lake, Ninong, Shenpu and Holy Lake should not be missed out when you are planning to visit Yubeng Village. 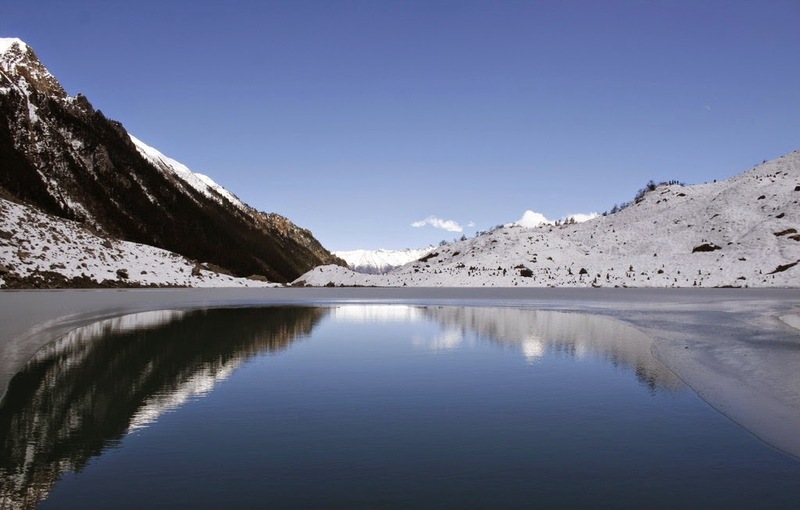 Base Camp and Ice Lake: It is a beautiful lake formed of glacier as if placed over a meadow. You need to spend 6-8 hours for the hike. Ninong: Ninong is hilarious thrilling location. Walk along the Yubeng River to Lacang River and from here you can hike to Ninong Village. Shenpu: One of the best locations to watch the morning rainbows. It needs 4 to 5 hours to reach the location by trekking. Holy Lake: This neither is a lake over a high mountain nor frequently visited by the tourists. A good meadow of about 4,100 square meters with a semi shelter is the attraction. Trekking to the village would be one of the toughest experiences one can have. It will be 6-7 days program of trekking all the way getting back to the base station. Daily bus services are available from Shangri-La to Deqin. Tourists can also hope in the mini vans to reach Deqin. From Deqin to Fei Lai Si, which is 2 minutes journey and from there you can make your further journey arrangements. From here your next journey to Xidang Village can be organized. There are public transport systems available from Deqin to Xidang Village. You can have your own choice of transport till Xidang Village. From here you can rent a mule or horse to Yubeng Village which will be 5-6 hour ride. Tourists from their experience say that renting a horse or mule will be worth to the cost when comparing to tough condition of trekking. 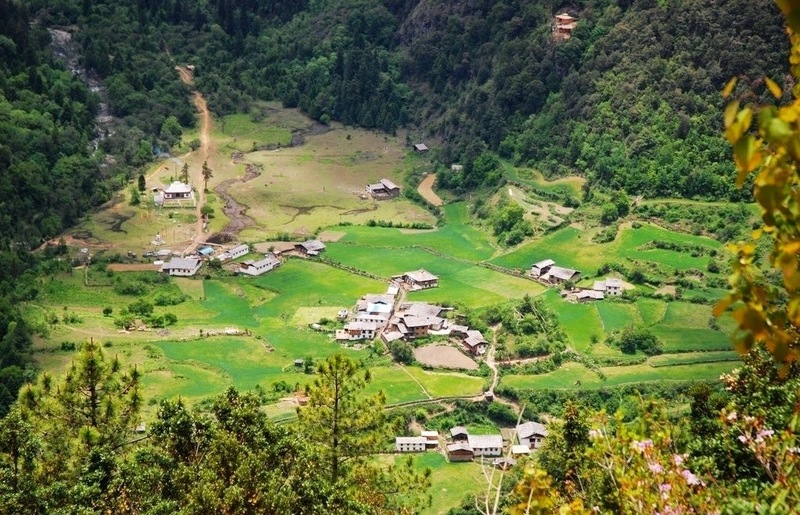 Tourists who are arduous in trekking never miss Yubeng Village. All kinds of thrilling experiences are waiting for you.